One of the best parts about being a photographer in Utah is LOOK. These mountains and canyons are so beautiful. 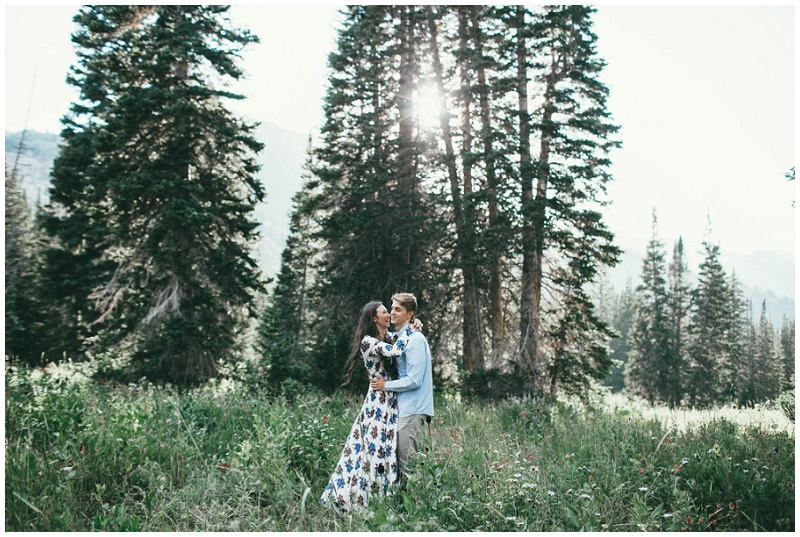 Summer wore a gorgeous Free People dress, and you could tell that Rhett just adores her. One of the things that I love to bring to my engagement shoots is fun and lots of laughs. Engagement shoots don't have to be boring and stuffy, think of it as a date with your love, with plenty of forehead kisses and jokes. If you come to the shoot with a light heart, your images will really reflect the two of you! I loved that about Rhett and Summer, they had plenty of smiles to bring, and I feel like you can really see who they are and their love for each other in their photos! Ohhh, and we went to the sand dunes for their bridals, check back on Saturday to see her STUNNING dress!